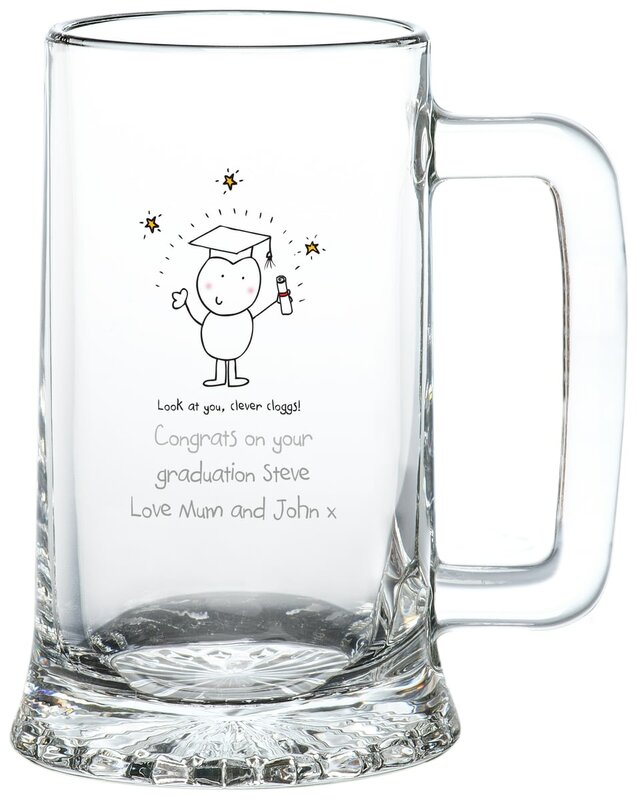 Our cheeky cartoon character complete with diploma and mortarboard adorns the front, and we engrave your message for the recipient right underneath. The recipient will definitely cherish this gift long after the celebrations are over and the job-hunt begins. It’s Father’s Day, so help him celebrate in style with a cheeky beer or two. Perhaps while watching the sport.